Designed to work in harmony with your smartphone, the Renault ZOE lets you make phone calls, listen to music, view photos and even watch videos when it’s safe in its dash-mounted touchscreen. You can even use the screen to look at your emails o ruse apps, which you can also buy from the R-Link Store. On top of this, the screen lets you see how much battery range is available. 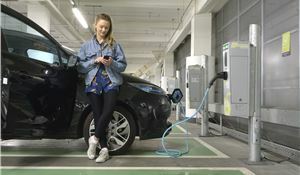 The Renault ZOE is the first electric vehicle to use Chameleon Charger technology that allows it to be charged from standard, accelerated or rapid charging points all using the same plug-in socket. 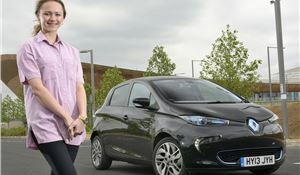 The lithium-ion battery is easy to charge and is 100% recyclable to add to its already impressive ability to power the ZOE with zero emissions, no smell and in almost complete silence. 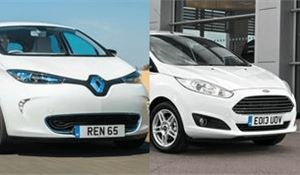 You can easily maximise your driving range in a Renault ZOE with three easy to use steps. The first is pre-conditioning, which allows to you set the interior temperature to your exact preference while the car is still charging. This saves on battery use for driving and it can be down from your smartphone or computer, so you don’t even have to leave the house. The second step is an Eco button eases the strain on the battery from the air conditioning and heating to extend battery range. For the third step, the ZOE will offer the driver advice on how best to drive to make the most of the battery energy available. 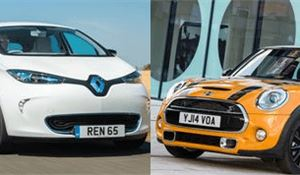 There are three generously equipped trim levels offered with the Renault ZOE, comprising Expression, Dynamique Zen and Dynamique Intens. All come with TomTom navigation so you always know where the nearest charging point is, a charging cable and integrated Econometer battery gauge. Every ZOE also comes with climate control air conditioning, cruise control, ESP, Hill-start assist, six airbags and the Z.E Voice low-speed pedestrian warning. 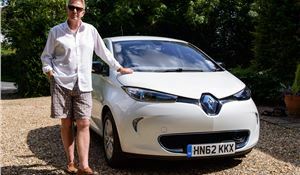 Every retail customer who buys a Renault ZOE qualifies for a free Wall-box fitted at their home, just so long as they have off-street parking. This means you can completely recharge your ZOE to 100% battery capacity in three to four hours. It comes with Z.E Ready certification, which means the Wall-box is guaranteed to fit perfectly to your car, while in-built data technology lets you keep track of your carbon savings via simple smartphone apps. 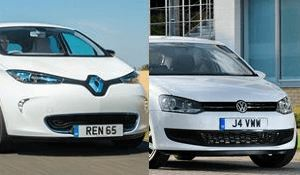 It may be one of the most sophisticated and intelligent electric vehicles in the world, but the Renault ZOE has not forgotten how to be a great family car. It has plenty of space in the front and back seats for adults and kids, as well as a large boot that is easily extended by folding down the rear seats. You can further add to the comfort of the ZOE with the optional Luxe pack. 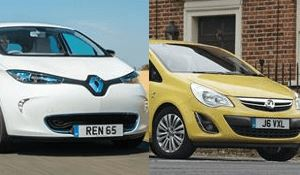 To make sure you get the best from your ZOE’s battery power, Renault has designed a lease scheme for the battery. 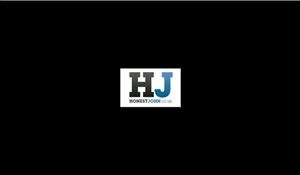 This means you never have to worry about repairing or replacing the battery and it also means you can design a monthly battery hire payment tailored to your lifestyle. 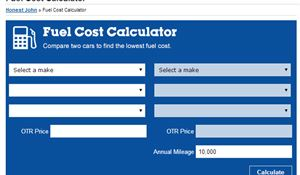 You tell Renault how many miles you drive and for how long you want to own your ZOE and they’ll do the rest to come up with a personalised plan. 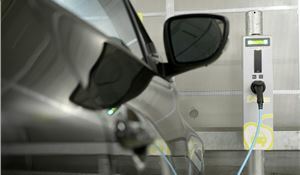 Unlike most other electric vehicles, the ZOE was designed from the ground up as a bespoke battery-powered car. This means the cabin is not compromised by the shape and design of the battery, while the ZOE’s drives just as you would expect a compact supermini from Renault. This means the ZOE steers and handles nimbly while offering a supple, cosseting drive on bumpy roads. 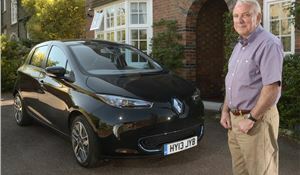 The Renault ZOE doesn’t just rely on being charged up when it’s connected to a plug-in socket. 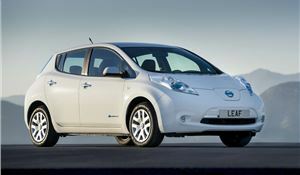 It can recharge its battery while on the move thanks to regenerative braking, so every time the driver takes a foot off the accelerator or applies the brakes, energy that would otherwise be wasted is recouped and turned back into electricity to top up the battery and help you drive further for less.